Works with Private Equity (PE) firms and their portfolio companies to build engines for growth, helping them optimize operating rhythm in revenue generation and EBITDA expansion. Places 65+ Chief Marketing Officer (CMO) assets on a fractional, program-specific or special project basis to accelerate growth with infusions of instant senior CMO talent. 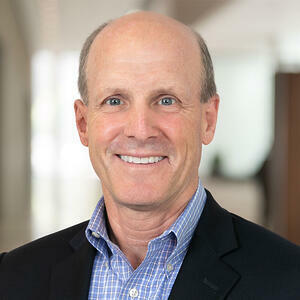 Peter is a high-performing and innovative business builder with a proven track record of advancing corporate strategy, sourcing deals, negotiating transactions, and generating results through various marketing, financial, and operational initiatives throughout the lifecycle of PE portfolio companies. A business savvy, entrepreneurial and results-driven leader, Peter leads value creation across a broad range of disciplines, including: PE, financial/operational management consulting, corporate development (M&A), and investment banking. Running high-yield growth plays – by industry, specialty or deal stage – in a matter of months, he helps PE firms and their portfolio Companies fill leadership gaps in order to put the right systems, levers, processes and measures in place, and build marketing engines that drive accountable results. Closed on over 100+ engagements involving 40+ PE firms and their portfolio Companies leading the PE business development efforts for TriVista, an operational management consulting firm. Averaged 30% annual growth over five years. Business development efforts led to over $500 million in enterprise value creation for clients through M&A advisory, operations performance improvement, global supply chain management, new product development, greenfield start-up support, factory relocations, and consolidations. Drove an increase of business unit revenue from $300,000 to $5+ million annually by conceiving, co-developing, and rolling out the industry’s leading Quality of Operations® pre-acquisition operations due diligence report for PE groups and Corporations. Led the M&A/divestiture efforts for DT Industries, an international, publicly-traded conglomerate with 16 operating units (former PE platform buildup). Negotiated 12 M&A transactions valued at over $400 million in aggregate. Formed Classic Capital Management as a merchant banking boutique providing strategic consulting and M&A services. Retained by $5 billion European conglomerate to provide strategic acquisition/business intelligence services. Led and closed 15+ M&A buy-side advisory transactions for privately-held and publicly-traded companies as President of Crossbar Capital. Closed on multiple corporate financing transactions valued in excess of $600 million at GE Capital and Mesirow Financial. Evaluated the investment merits of dozens of acquisitions valued at $2+ billion.